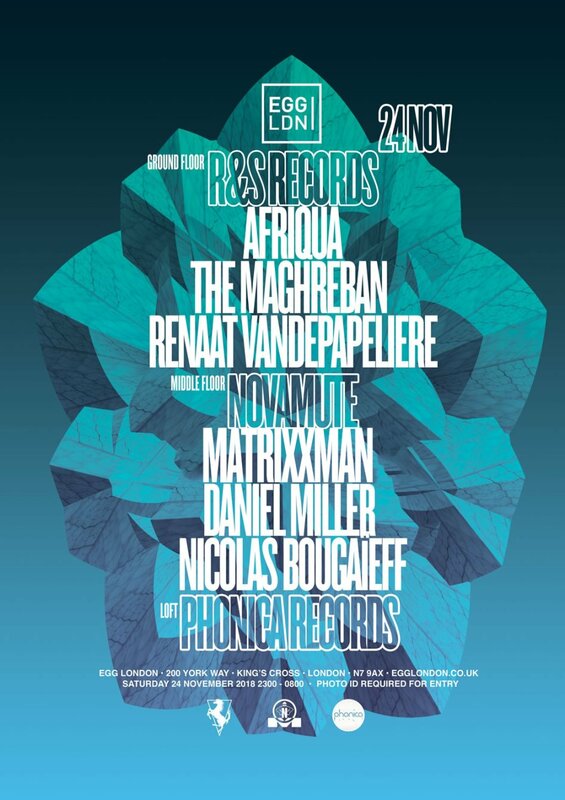 Daniel Miller and Nicolas Bougaïeff return to Egg London for another NovaMute Night, with a very special guest, Matrixxman, to heat up the Egg’s middle floor. This entry was posted in Allgemein, Blog, Current Projects, Daniel Miller, Nicolas Bougaïeff, NovaMute Nights and tagged 18 november, Daniel Miller, Egg London, matrixxman, Nicolas Bougaïeff, Novamute, NovaMute Night. Bookmark the permalink.